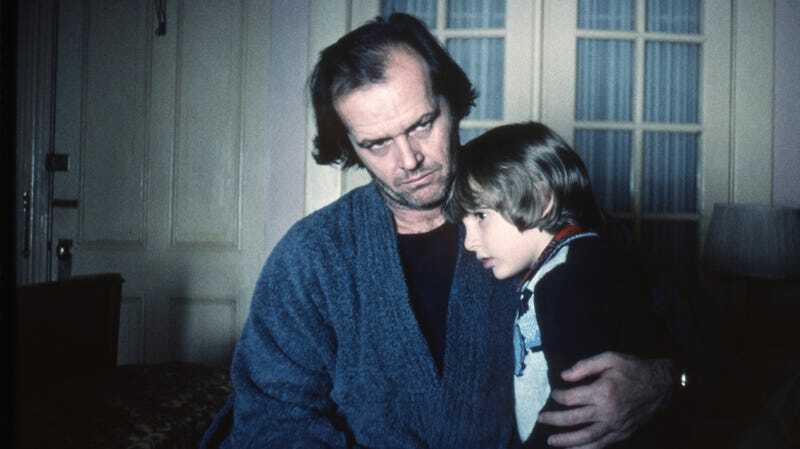 As every horror fan knows, there are two, weirdly distinct versions of The Shining: Stephen King’s original novel, which told a personal story about King’s struggles with substance abuse, and Stanley Kubrick’s movie version, which told a personal story about how Kubrick helped fake the moon landing. With Gerald’s Game director Mike Flanagan now set to direct an adaptation of King’s sequel novel Doctor Sleep, it’s time to try and determine which of those is the canonical version of the story—especially considering that they both play out in fairly different ways. Flanagan is evidently not a fan of starting internet fights, though, because he has now told Bloody Disgusting that his Doctor Sleep movie will somehow address both versions of The Shining. His movie is specifically a sequel to the book, but since Kubrick’s Shining is “one of the greatest films ever made,” he says “there is no version of the world where I am trying not to acknowledge” it. “There’s no upside in shying away from that reality.” In other words, he knows that most people at least know the movie better than they know King’s book, so it would be foolish of him to pretend otherwise. We have no idea what that means, but it should be relatively easy to dance around the different versions of the story. Doctor Sleep is about Danny Torrance from The Shining as an adult, facing off against a group of killers who seem to have powers similar to how own psychic abilities. It’s not directly tied to the events of the original book, so adult Danny (played by Ewan McGregor) can easily indicate that his father’s death was both about alcoholism and about the desire to win the Space Race at all costs. We’ll know either way when Doctor Sleep rides its tricycle into theaters in 2020.